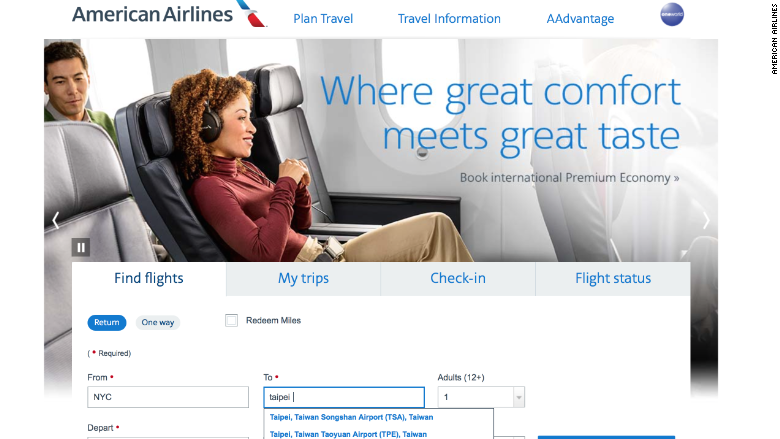 US airlines have changed their websites to keep China happy, hours before a deadline for them to do so expired. "Like other carriers, American is implementing changes to address China's request. Air travel is global business, and we abide by the rules in countries where we operate," American spokeswoman Shannon Gilson told CNN. 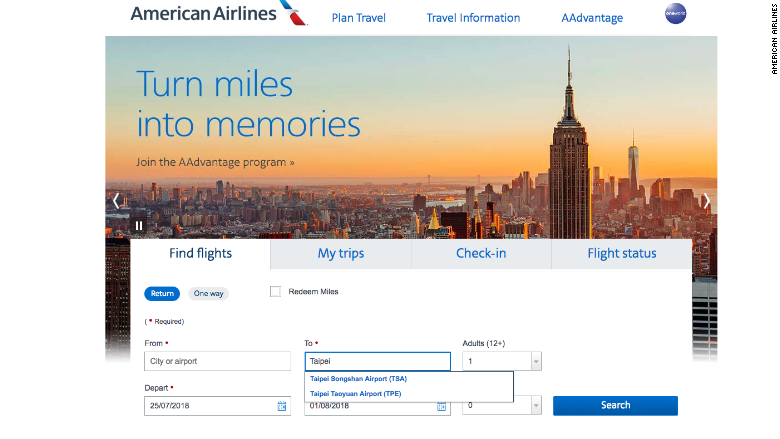 A screenshot of American Airlines' website as of Wednesday, July 25. United did not respond to a request for comment. Delta declined to comment and referred questions to Airlines for America (A4A), which represents the US airline industry. "The US airline industry is a global business that must contend with a host of regulations and requirements," the association said in a statement on Tuesday. "A4A and the affected US airlines appreciate the engagement and counsel we have received from the administration as carriers begin to implement a solution," it added. The instructions from China provoked a strong reaction from the United States earlier in the year. The White House slammed the demands as "Orwellian nonsense," describing them as "part of a growing trend by the Chinese Communist Party to impose its political views on American citizens and private companies." But international airlines and other global brands are caught in a bind. It's vital for their business that they stay in China's good books. 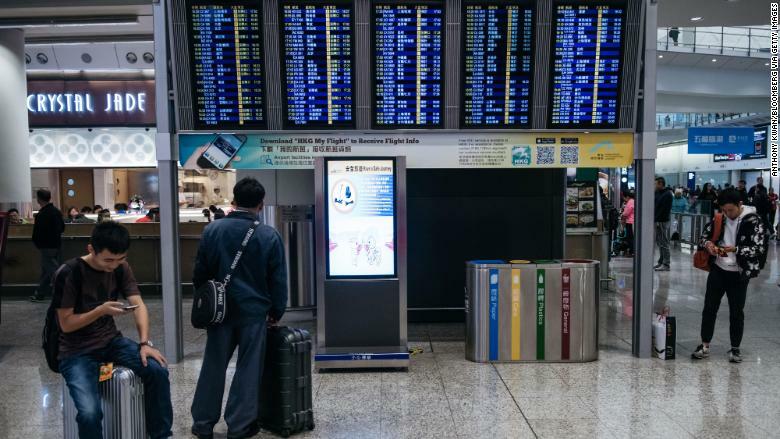 The International Air Transport Association forecast last year that China would surpass the United States as the world's top aviation market by 2020. Many airlines, such as Australia's Qantas (QABSY), Air Canada (ACDVF) and Air India, have already changed their websites. 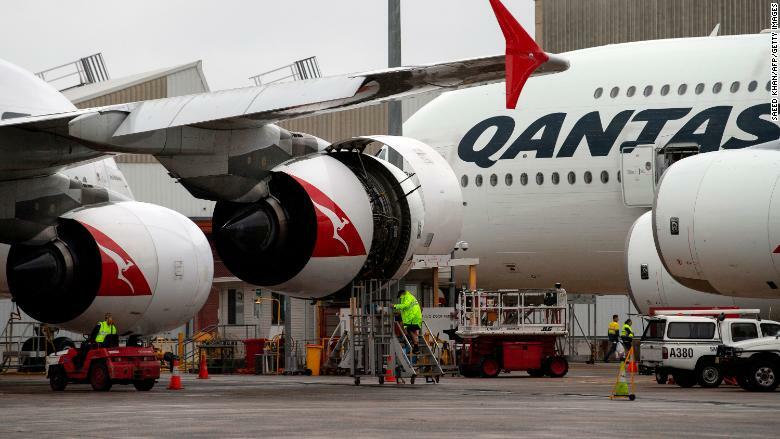 Ground staff prepare a Qantas Airbus A380 for a flight at Sydney International Airport on June 1. 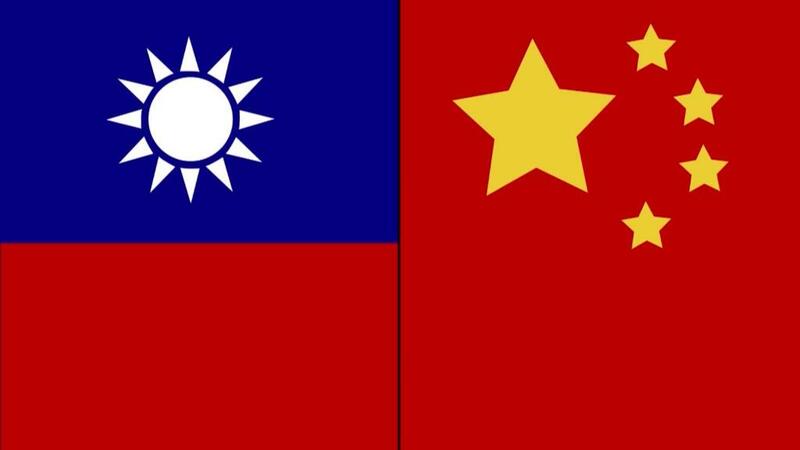 Geng Shuang, a spokesman for China's Ministry of Foreign Affairs, said Wednesday that the government had "noted some positive developments" in the way in which foreign airlines refer to Taiwan. "We agree with the changes made by the relevant foreign airlines," he told a regular press briefing. China hadn't spelled out what the punishments might be for airlines that failed to comply with its demands. Earlier this year, it blocked Marriott (MAR) websites and apps for a week in the country after the hotel company listed Tibet, Hong Kong, Macau and Taiwan as separate countries in emails and apps. Travelers stand with their luggage in front of a flight information panel at Hong Kong International Airport on Jan. 28, 2017. -- Steven Jiang and Tim Schwarz contributed to this report.